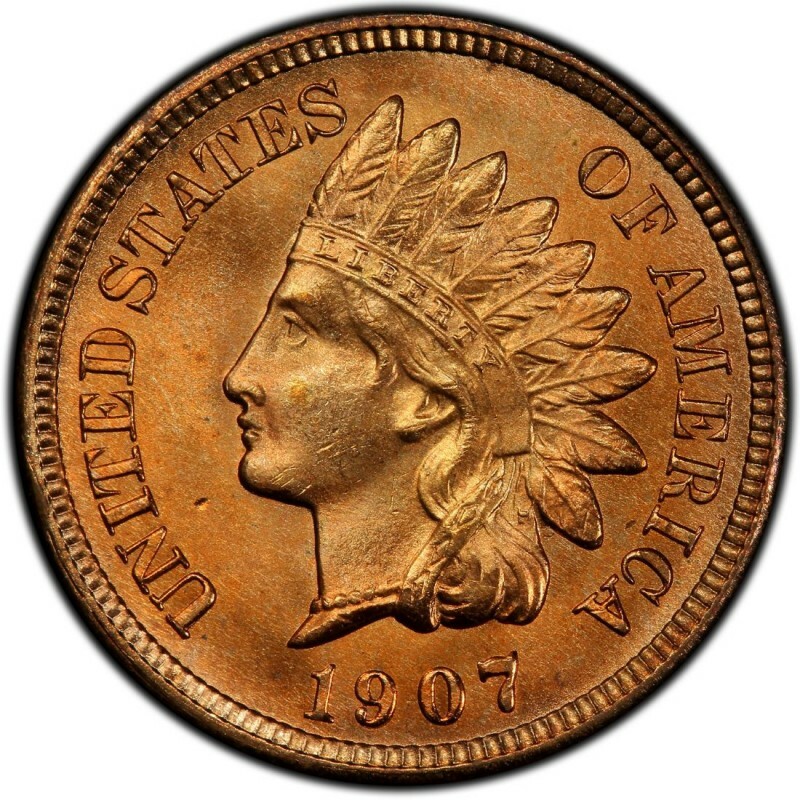 1907 Indian Head cents are extremely common coins that are easily found at most coin dealer shops that handle 19th- and 20th-century U.S. coinage. 1907 pennies are generally found in mixed-date rolls and bags of older pennies, and they are generally available in all the circulated grades as well as most uncirculated grades. Coin collectors usually pursue 1907 pennies either for inclusion in type sets or in complete series collections of Indian Head cents. These inexpensive, common Indian Head pennies are also great for non-numismatists who simply want a cheap old penny as a classic momento of the period. 108,137,143 business-strike Indian Head pennies were made in 1907, which makes that the highest mintage year for the series. Additionally, 1,475 proof specimens were made for coin collectors. 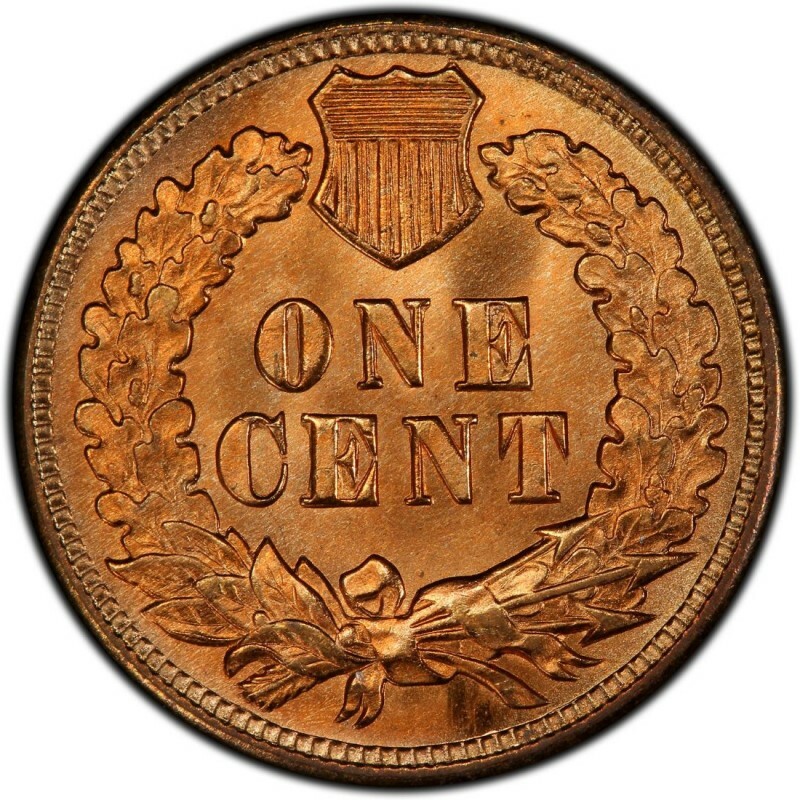 While 1907 pennies boast the highest mintage, they aren’t particularly any less expensive than any other 1900s Indian Head pennies, save for the 1908-S, 1909, and 1909-S Indian Head pennies. Good-4 1907 pennies retail for $1.80 each while choice proofs sell for $1,950. James B. Longacre designed 1907 Indian Head pennies, which belong to a series that first debuted in 1859. Longacre served as Chief Engraver of the United States Mint from 1844 until his passing in 1869. His daughter, Sarah, served as the model for the bust of Miss Liberty, seen wearing an “Indian” headdress on 1907 pennies.